I made these cupcakes recently. 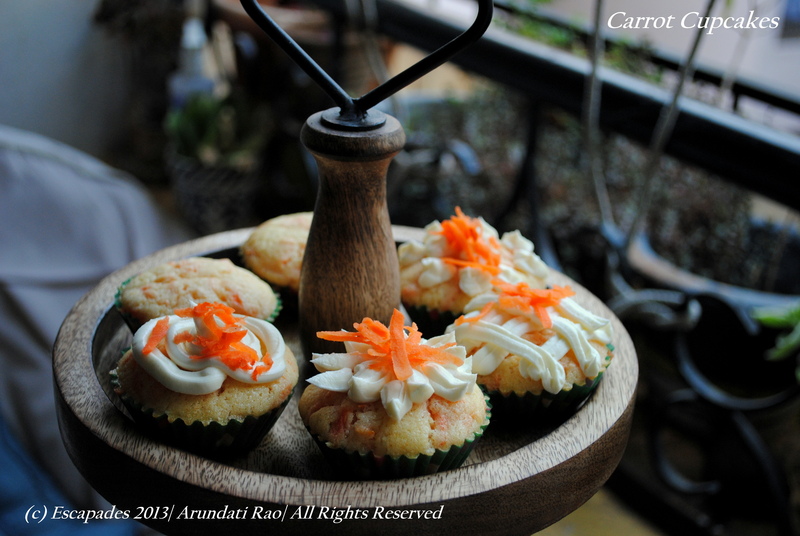 The flavours were fresh, the cupcakes light and buttery. These can be served as tea cakes, snacks for children or even as dessert served warm, with icecream. Sift the Maida with the cinnamon and nutmeg powder, salt and baking powder and baking soda. Mix in the grated carrots. Preheat the oven to 170 degrees C and line a muffin pan with paper cups or grease it lightly. Beat together the milk, eggs, melted butter in a blender for 2 minutes and pour it into the flour and carrot mix. Stir gently till everything is mixed well. Spoon about ¼ cup of batter into each cupcake case. Bake for 22-24 minutes and check with a toothpick at 22 minutes. If it comes out clean, your cupcake is baked. Leave the baked cupcakes on a wire rack to cool completely. Beat the cream cheese with the sugar and vanilla essence till smooth. Pour it into a zip lock bag. Snip off the end and draw designs on the cupcake. 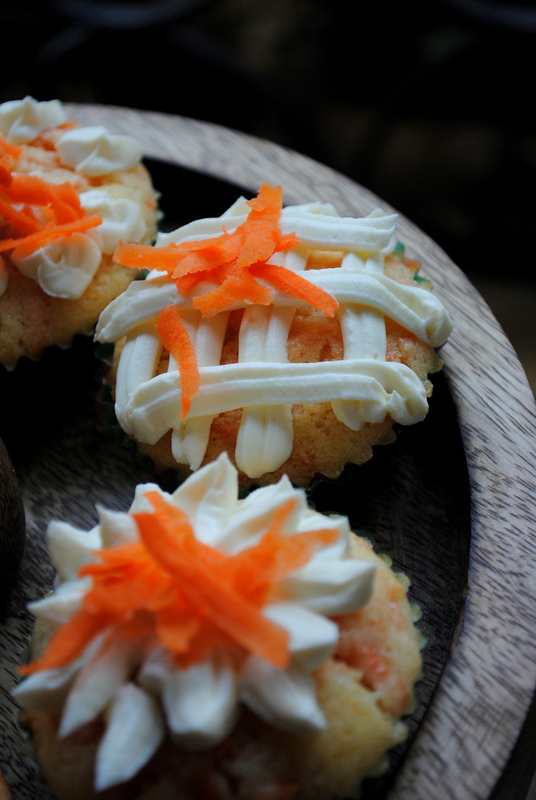 Add a few strands of grated carrot as garnish. Serve. Could i replace the butter with Olive oil? will that work? but… where do i find maida ?